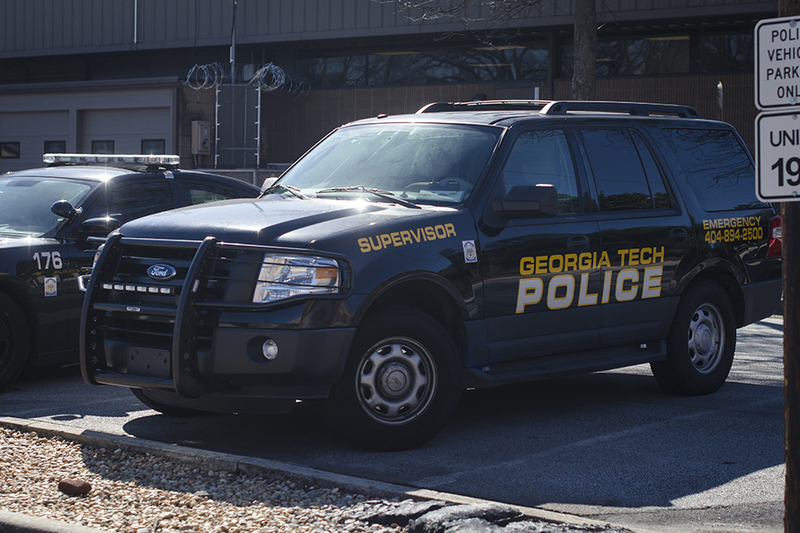 Georgia Tech is fortunate to have more than 80 sworn officers with 10-12 officers —including plainclothes officers —actively patrolling campus by foot, motorcycle, bicycle, car, Segway, and K-9 patrols. We also have a state-of-the-art operations center and more than 1,000 security cameras and 500 emergency phones posted throughout campus, along with two SkyCop mobile surveillance systems. With access to all these tools, how do incidents like the one in the Scheller College of Business, continue to occur, along with theft, larceny, burglary and other campus crimes? The mission of the Georgia Tech Police Department (GTPD) is to provide a safe and secure environment for the campus community and it is one that we take seriously. But I will be the first to tell you that our officers cannot do it alone. We encourage all of you to be alert and aware of your surroundings and the behavior of others, both on and off campus. Some students may shrug off the advice to “See something. Say something,” but it works. In December, quick reporting by an observant parent using the Campus Recreation Center helped GTPD recover a student’s possessions and resulted in the arrest of two suspects. Likewise, a suspect was also arrested for the incidents occurring in the vicinity of Brittain Hall last month. We want to have more success stories like this, but more importantly, we are committed to doing all that we can to prevent crimes from occurring in the first place. I was very impressed to see so many students participate in the recent town halls at the Scheller College of Business, and we plan to have more across campus. At Scheller, security camera upgrades and improved exterior lighting are in the works. The exterior building doors now automatically lock from 5 p.m. to 7:45 a.m., with the building accessible only with a BuzzCard during those hours. There also will be a security presence in the building from 4 p.m. until midnight Monday-Friday on an ongoing basis. What can you do? Make sure that you are securing your belongings whether in your dorm room, in buildings around campus or in your vehicle. Download the Rave Guardian smartphone app and use the timer feature when appropriate. You should never be shy about reporting suspicious individuals or activity to GTPD. I encourage all of you to program GTPD’s number into your phones. The bottom line is that we are here to serve you. If you ever have a question or concern, please don’t hesitate to contact us. I applaud the Technique for helping us keep Tech students informed. Everyone has a role to play in campus safety.